Face to Face or Online Coaching? Have you ever experienced online coaching (such as Skype/Zoom etc)? Have you tried face to face coaching? If you have experienced both, how did they compare? I have only ever been coached by phone or Skype so I have no comparisons. I coach my own clients by phone, video conferencing and/or face to face, and all seem equally successful. What do you see as the pros and cons? Personally, as a Coach, (and sometimes Coachee), I love the benefits of ‘virtual’ coaching. I save time and money and can work with anyone in the same time-zone. I am relaxed going into the session (no traffic!) and both parties can get on with their actions immediately. For me these benefits outweigh any potential drawbacks. So far, my research has shown that some Coaches prefer the personal interaction of face to face coaching, but others favour the distance and objectivity of an online session. When I speak to Coachees, the main concern seems to be trust in technology or having a private space to work in. Once clients have experienced online coaching I find they don’t want to revert to the time and financial hassles of travelling to appointments. • Have a plan b in case your preferred method doesn’t work for some reason. What pros and cons have you experienced with online coaching? What tips do you have to maximise the pros and minimise the cons of online coaching sessions? Linda Ford is a Personal Performance Coach and Trainer who works with clients from all over the world, helping them to achieve success with drive and focus. 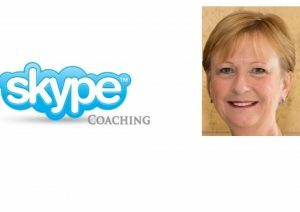 Working with Linda via Skype will save you time and resources, allowing you to focus 100% on setting and achieving your goals.